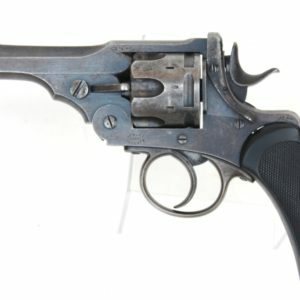 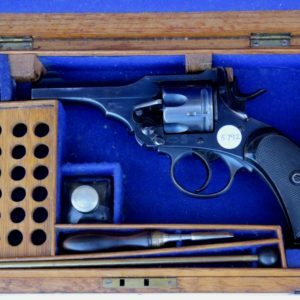 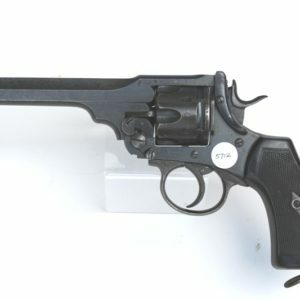 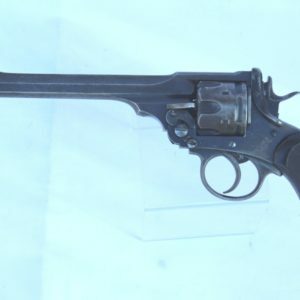 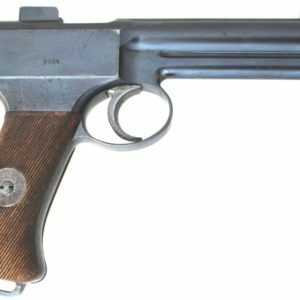 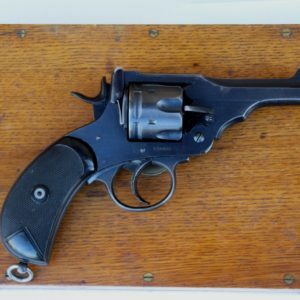 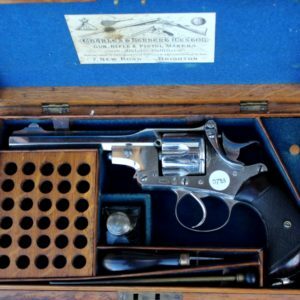 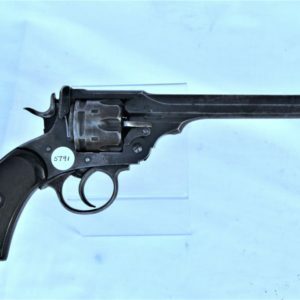 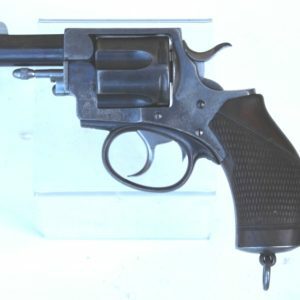 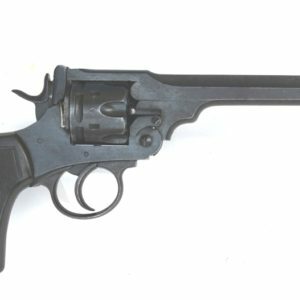 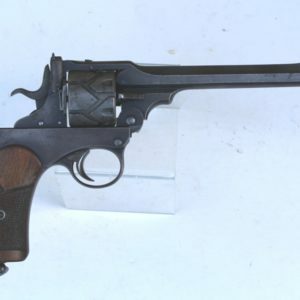 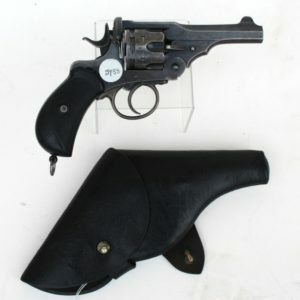 A .450/.455 Webley Mk V Commercial Revolver with 4 inch barrel. 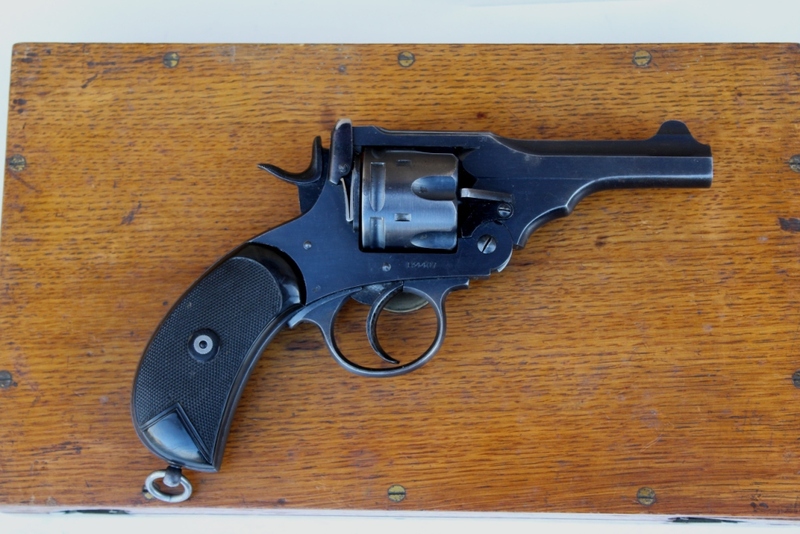 With presentation inscription ‘Presented to Lieutenant and Quartermaster L C Gallagher 2/7 Battalion London Regiment’ by Bridge Ward London. 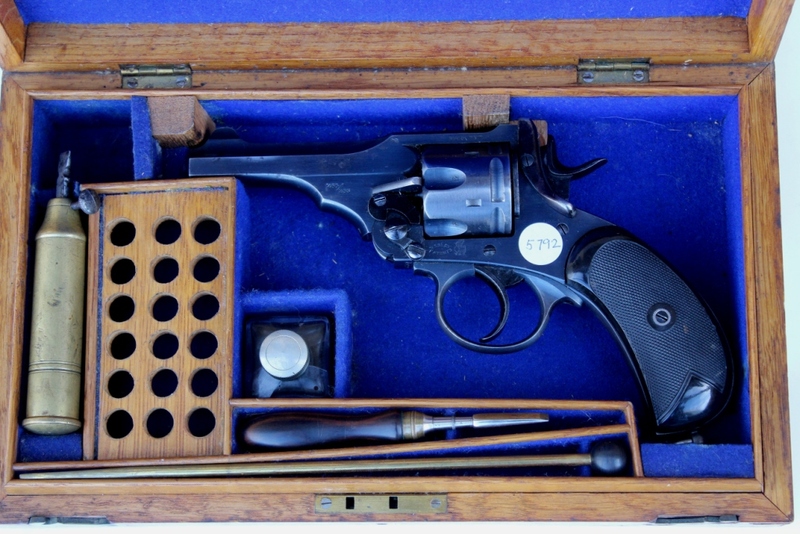 Complete in its makers blue baize lined oak case with accessories including compendium cleaning tool. 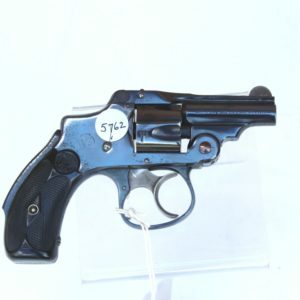 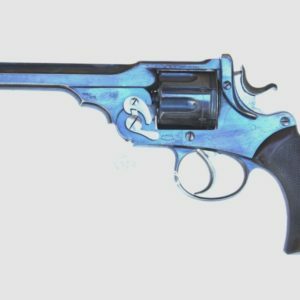 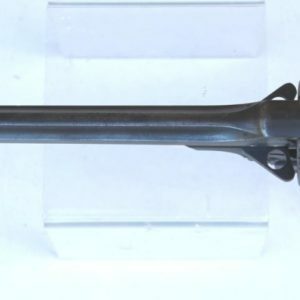 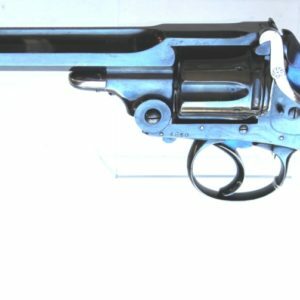 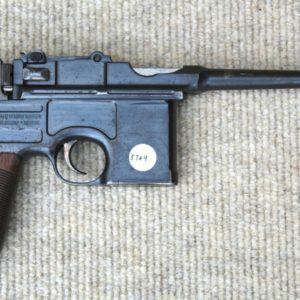 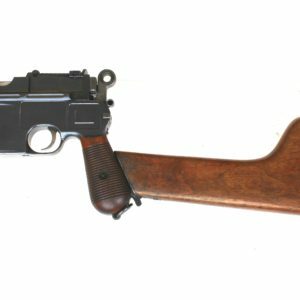 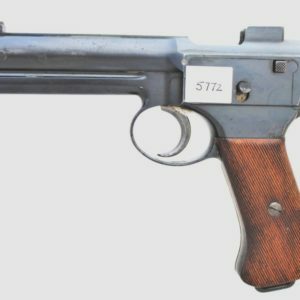 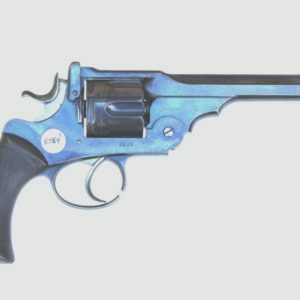 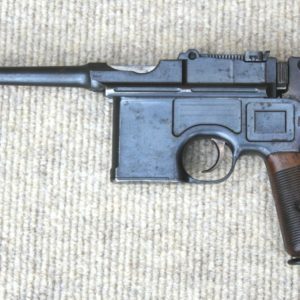 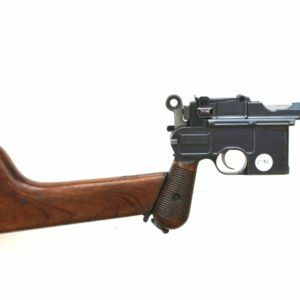 Condition: the pistol retains some 90% of its original blue finish throughout, the bore is excellent with no blemishes. 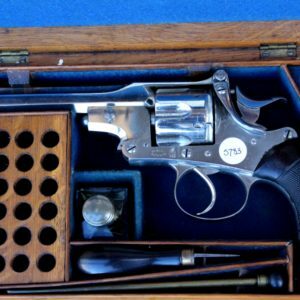 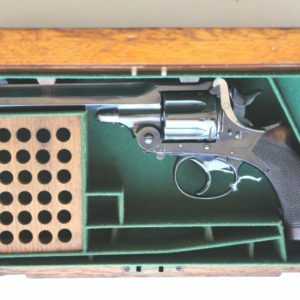 The case is in a condition commensurate with the pistol and has the Owner’s initials on the escutcheon to the lid. 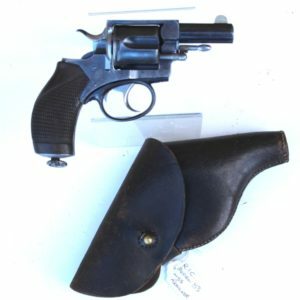 Category: Section 5, can be held on Section 7.1 or 7.3. 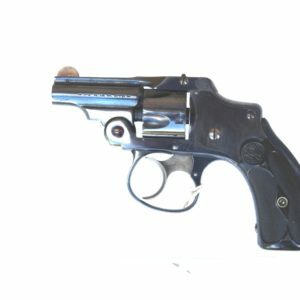 Export Licence required for shipping abroad.